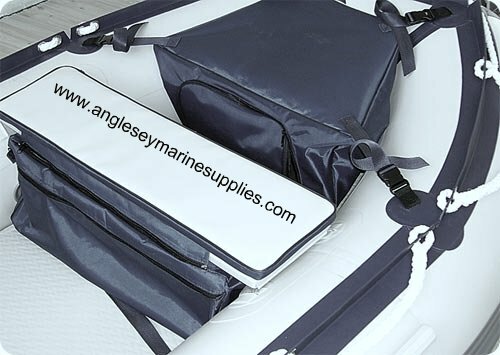 Inflatable boat parts and Rib spares from Anglesey Marine Supplies. Inflatable boat tube repair kit for neoprene and pvc boats, full kit for essential boat tube repairs. Bravo foot operated inflatable boat pumps now supplied, Budget Inflatable Boat Pump Also Supplied, Inflatable boat storage bags and rib storage bags supplied for keeping valuables safe. Boat ladders for inflatable boat and ribs available at low prices. Inflatable boat repair kit for both neoprene boats and upvc boats. Inflatable boat ladders in stock. 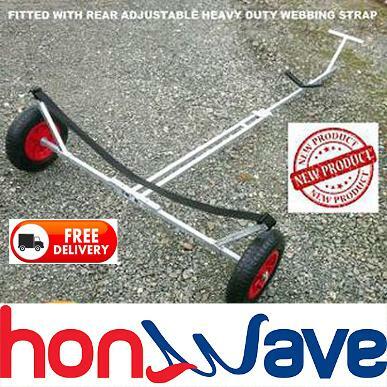 We now stock honwave launching trolleys suitable for all inflatable boats. Inflatable boat repair kit for neoprene boats. Each kit contains different sizes of neoprene fabric and a tube of glue, together with finger protectors and applicator. Choice of colours. 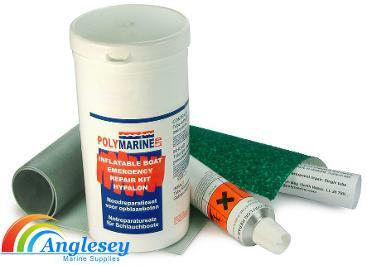 Inflatable Boat repair kit for PVC boats, Each kit contains several clear pvc patches and glue plus a spare air valve. 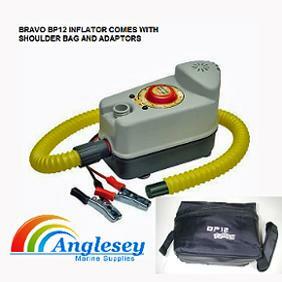 Bravo BP12 inflatable boat pump inflator, the ultimate in 12 volt boat inflators. Maximum pressure 1 bar / 14 psi. Has auto stop fitted when the selected pressure is reached. Fitted with 1.70 metres of tube and 3 metres of power cable. Comes complete with adaptor and shoulder bag. Can also deflate as well as inflate. A quality inflatable boat pump. Inflates a 7m boat in under 12 minutes ! 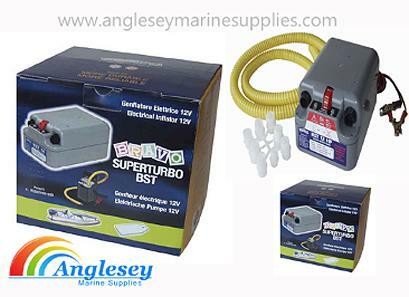 Bravo superturbo bst inflatable boat pump. 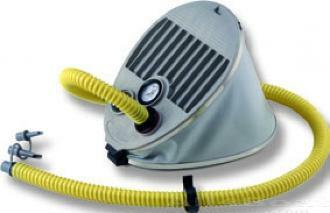 Automatic cut off when chosen pressure is reached-Powerful airflow 450L per min-Features brass gearing in a turbine and piston pump-Pressure selectable by rotary dial - up to 11.7psi-Supplied with cable with 2 crocodile clips, carry bag, hose-and mutiple connectors-Ideal for fast inflation of inflatable dinghies, water toys and tubes. High pressure performance-ideal for inflating air rib floors to correct pressure-Inflates & deflates. 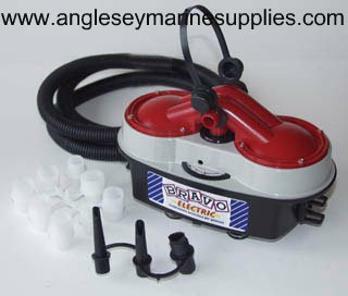 Anglesey Marine Supplies offers you the Bravo 12 inflatable boat pump a quality 12 volt boat inflator. This fast and reliable pump has a automatic pressure regulator. Will inflate up to full working pressure. Delivery of 150 ltrs of air per minute, will inflate a 4 metre boat, rib etc in about 8 minutes. Maximum pressure 4.4psi. Adjustable pressure between 2.2psi-4.4psi. 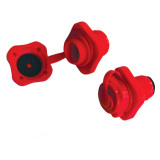 Automatically stops when the desired pressure is reached. 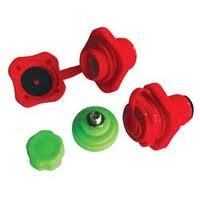 The inflatable boat pump Comes with a wide selection of adaptors. Bravo 7m inflatable boat pump foot operated foot pump with built in gauge. To inflate boats, water-ski tubes, airbeds etc. Reads pressures from 0-8 psi. Complete with all marine grade stainless steel metal parts and a range of adaptors. 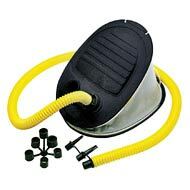 A budget priced economy heavy duty inflatable foot pump for inflating boats and water-ski tubes and donuts etc. Also used for camping airbeds etc. Delivers up to 6 litres of air per stroke. Reinforced hose, comes with a range of connectors. Aluminium handle quality double action boat hand pump. Inflates on upward and downward stroke. Has Aluminium Handle for longer life. 2 x 2000cc volume, pressure up to 1 bar. 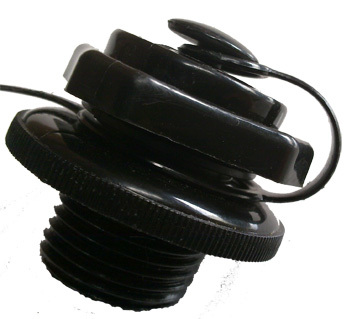 Inflatable boat pump adaptor sp118 for bayonet type valves. Will fit many of the popular inflatables. Simply push in and twist. Fits a variety of pumps. 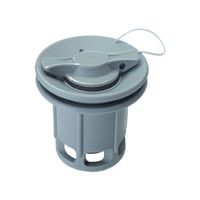 SP118 inflatable boat adaptor for Bravo pumps. 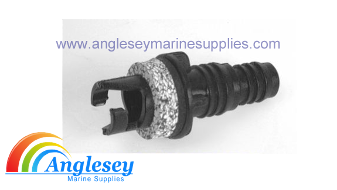 Inflatable boat pump adaptor for bayonet type valves like Bravo, Ceredi, Halkey Roberts etc. Fitted with a range of washers for more adaptability. Inflatable boat storage bag with cushioned seat top, will soften the ride of any inflatable boat, rib seat. The bag provides you with extra storage space and is waterproof. Another feature is a shoulder strap which allows you to carry the Inflatable boat storage bag when leaving the boat. 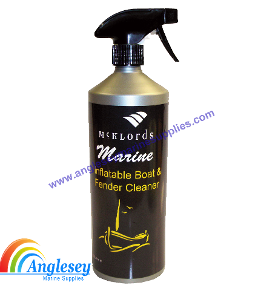 Inflatable boat cleaner and boat fender cleaner, removes dirt, grime scuff marks and oxidization stains. Safe for use on all vinyl and rubber boat surfaces. 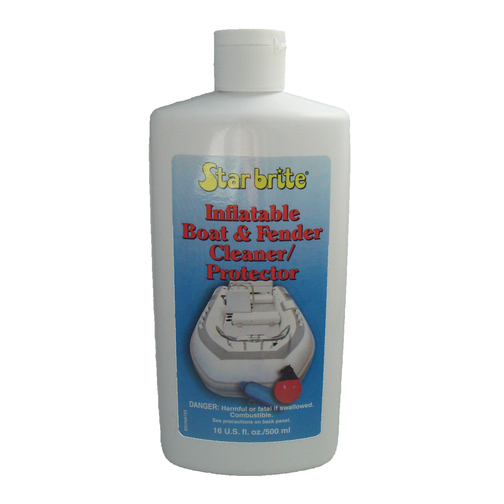 The quick and easy way to maintain inflatable boats and all types of boat fenders. 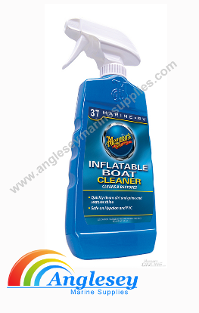 Inflatable boat cleaner and boat fender cleaner. Removes dirt, grime, scuff marks and oxidation stains. Safe for use on all vinyl and rubber surfaces. The quick and easy way to maintain inflatable boats and all boat fenders. Ideal for all inflatables and Ribs. 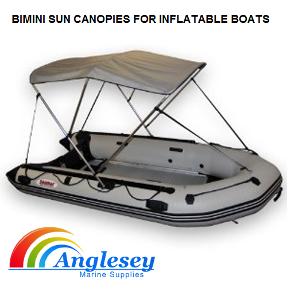 Bimini boat sun cover for inflatable boats, available in a variety of widths to suit all boats, supplied with suction cups to mount to your inflatable boat. Material used is sun and seawater resistant, tubing used is anodised aluminium and all fixings are reinforced nylon. Please note boat shown is a 3 arch canopy with support poles sold separately. Boat ladders for inflatable boats and Ribs. Made from 25mm stainless steel marine grade tubing. Folds up when not in use. Designed for all types of boat. 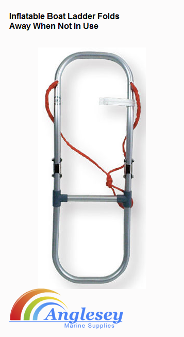 A fully galvanized folding launching trolley designed for the honwave dinghy and most inflatable boats. Will accept Honwave dinghy and inflatable boat up to 12 feet in length. Fully adjustable rear supports move out wide enough for the honwave dinghy to sit perfectly between the upright straps. 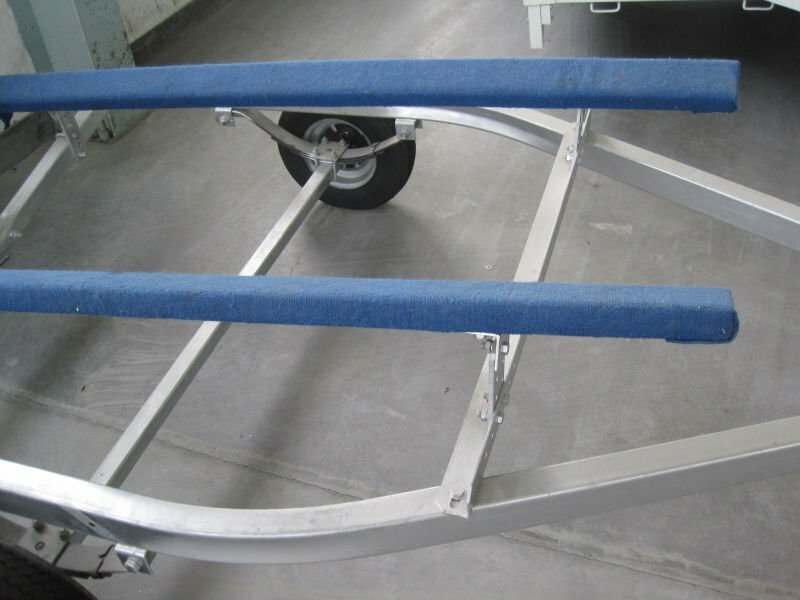 The honwave dinghy launching trolley is fully galvanized and folds easily to fit into most car boots. The inflatable boat launching trolley is now in stock.